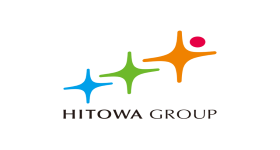 HITOWA Holdings Co., Ltd. | Polaris Capital Group Co., Ltd.
Operating Nursing care business, Childcare business and Franchising business of Housecleaning / Visiting massage services, etc. Polaris intends to achieve HITOWA’s continued growth and reinforce its strength by acquiring more franchisees of FC business, the biggest growth driver, increasing per-FC sales through improving repeating customer ratio via proactive marketing and developing new peripheral businesses as well as a new pricing strategy in nursing care segment where market growth is expected, in a collaboration with Polaris’s existing investment companies where possible. In preparation for initial public offering, Polaris also plans to strengthen HITOWA’s corporate governance through dispatching of directors and officers.